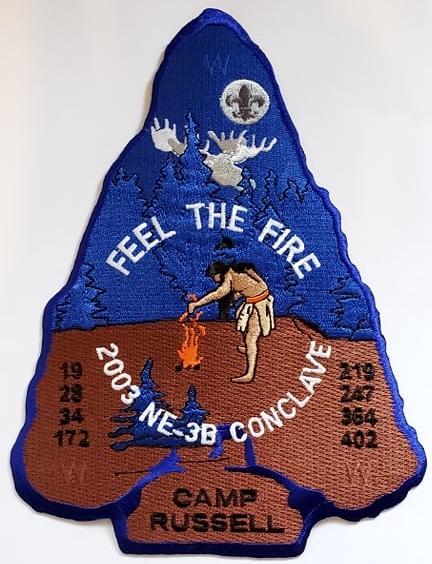 Another pair of images from Mia Hubbert, this time for the 2003 Section NE-3B Conclave. This conclave was held at Camp Russell and hosted by Ga-Hon-Ga Lodge #34. The theme was “Feel the Fire.” I had originally written it up in May 2008. There was also a pin. 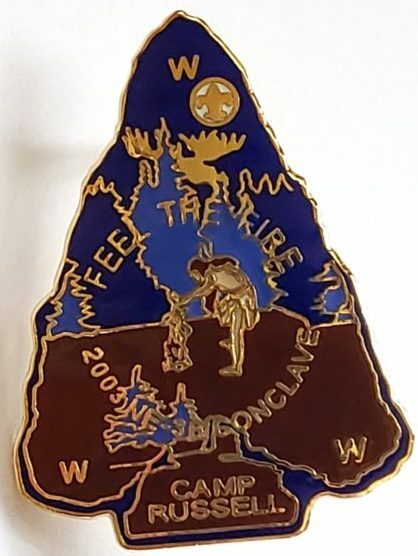 Was this a participation pin or a trading post issue?